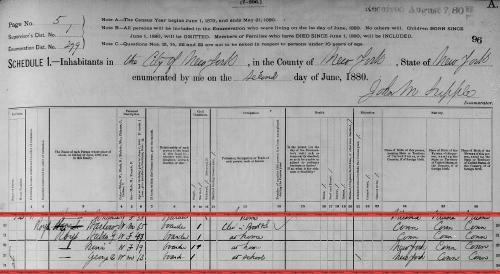 "Minnesota, Births and Christenings, 1840-1980," index, FamilySearch (https://familysearch.org/pal:/MM9.1.1/FDM8-G5Q : accessed 28 Nov 2012), Grace Colby in entry for Roy Colby Griffith, 16 Feb 1891. 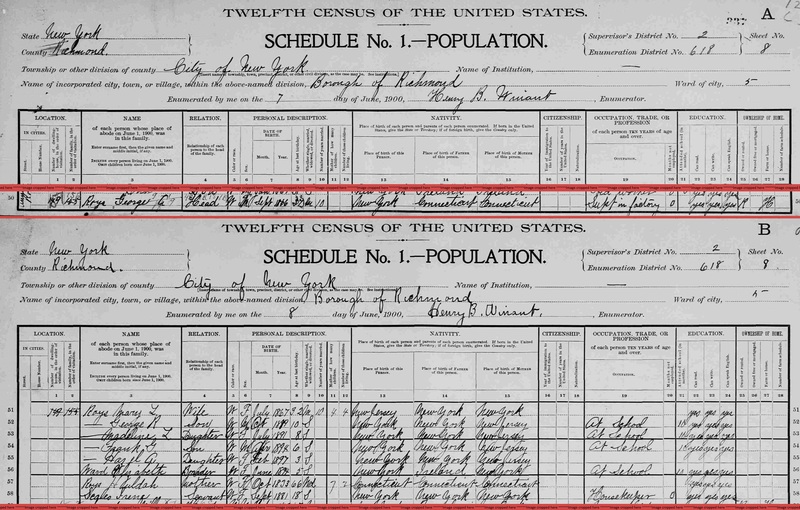 "Minnesota, Marriages, 1849-1950 ," index, FamilySearch (https://familysearch.org/pal:/MM9.1.1/FDDM-YJC : accessed 28 Nov 2012), William W. Griffith and Grace Colby, 12 Jun 1889. COLBY FAMILY & OTHERS at http://freepages.genealogy.rootsweb.com/~colby/colbyfam, /d260.html. "Massachusetts Births and Christenings, 1639-1915," database, FamilySearch (https://familysearch.org/ark:/61903/1:1:VQ67-9RQ : 4 December 2014), Laura Grout, 16 Jan 1790; citing MEDWAY,NORFOLK,MASSACHUSETTS, ; FHL microfilm 0873753 IT 3. Record added: Aug 31, 2010. Thomas W. Baldwin, Vital Records of Wrentham, Massachusetts, to the Year 1850, Boston, Mass. : Stanhope Press, (1910) , Vol. 2, p. 255. "Massachusetts, Town Clerk, Vital and Town Records, 1626-2001," database with images, FamilySearch (https://familysearch.org/ark:/61903/1:1:F4J5-4T5 : 13 July 2016), Nathan Grout, 02 Aug 1753; citing Birth, Medfield, Norfolk, Massachusetts, United States, , town clerk offices, Massachusetts; FHL microfilm 721,179. "Massachusetts Births and Christenings, 1639-1915," database, FamilySearch (https://familysearch.org/ark:/61903/1:1:VQ6W-43Y : 4 December 2014), Royal Grout, 21 Apr 1787; citing MEDWAY,NORFOLK,MASSACHUSETTS, ; FHL microfilm 0873753 IT 3. "Massachusetts Births and Christenings, 1639-1915," database, FamilySearch (https://familysearch.org/ark:/61903/1:1:VQ67-W8N : 4 December 2014), Polly Grout, 17 Jul 1796; citing MEDWAY,NORFOLK,MASSACHUSETTS, ; FHL microfilm 0873753 IT 3. 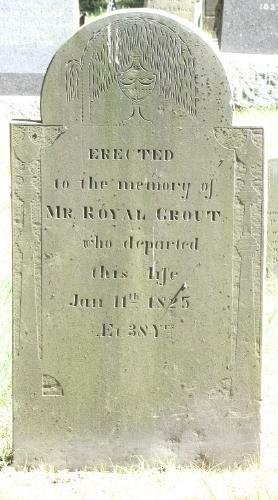 "Massachusetts Births and Christenings, 1639-1915," database, FamilySearch (https://familysearch.org/ark:/61903/1:1:VQ6W-HYT : 4 December 2014), Nathan Grout, 25 Sep 1798; citing MEDWAY,NORFOLK,MASSACHUSETTS, ; FHL microfilm 0873753 IT 3. Rev. Abner Morse, The Genealogy of the Descendants of Capt. John Grout, , at https://books.google.com/books?id=PNEUAAAAYAAJ . Boston: (1857) , p. 10. 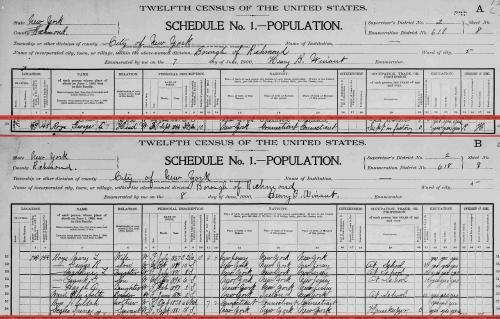 "Minnesota, Births and Christenings, 1840-1980," index, FamilySearch (https://familysearch.org/pal:/MM9.1.1/FDMD-LJM : accessed 05 Dec 2012), Grove, 08 Jan 1892. 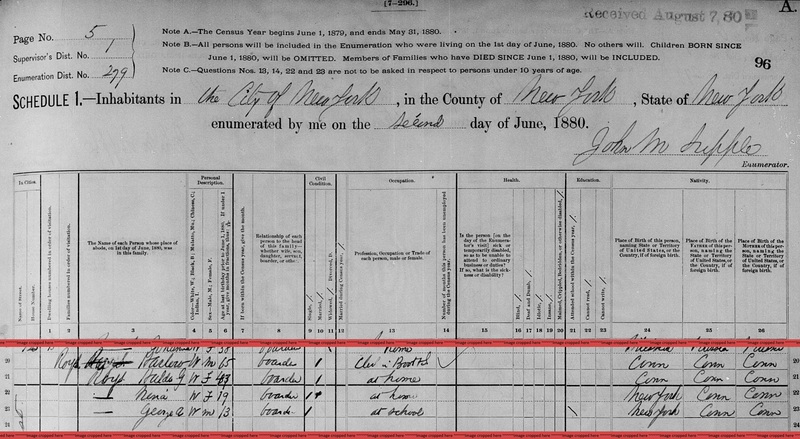 "Massachusetts Births, 1841-1915", database with images, FamilySearch (https://familysearch.org/ark:/61903/1:1:FX8V-CK2 : 1 March 2016), Bernice Maud Guild, 1878. "Massachusetts Births, 1841-1915", database with images, FamilySearch (https://familysearch.org/ark:/61903/1:1:FX89-8G8 : 1 March 2016), Florence Maria Guild, 1872.